This morning after heading on my way, and saying my “goodbyes” to Carrie, Max and Oscar, I decided to try a bakery Carrie directed me to and it ended up being the BEST BAKERY ever…it must be a blessing that when I lived in Reading I never knew about it…because it may have been a huge issue. 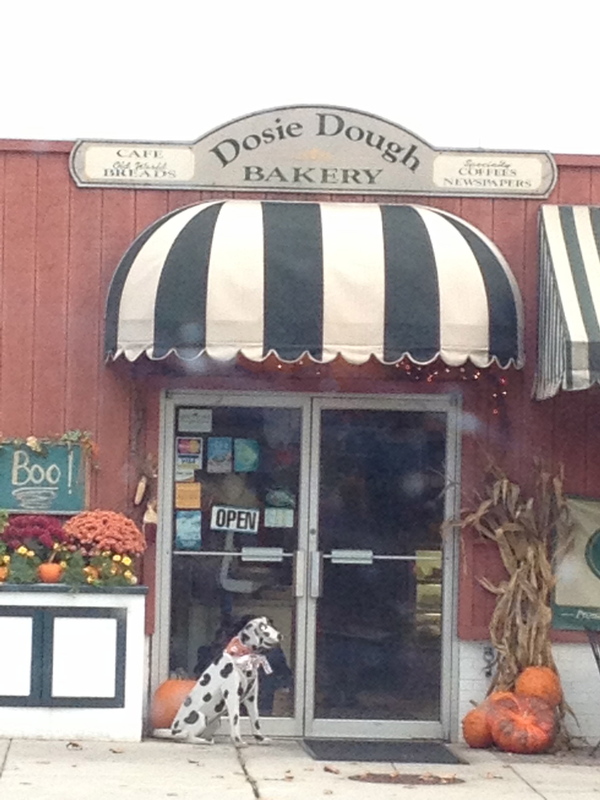 It was called Dosie Dough Bakery, how cute! 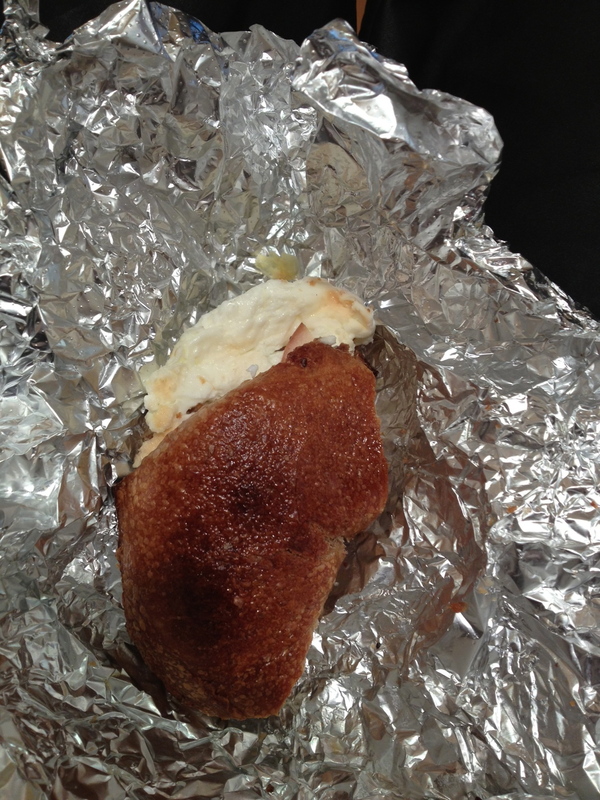 I decided on pumpkin mini-loaf to bring to my parents (don’t worry it passed everyone’s taste test)..a honey wheat bagel with egg whites and a slice of turkey and of course can’t go wrong with a pumpkin coffee. 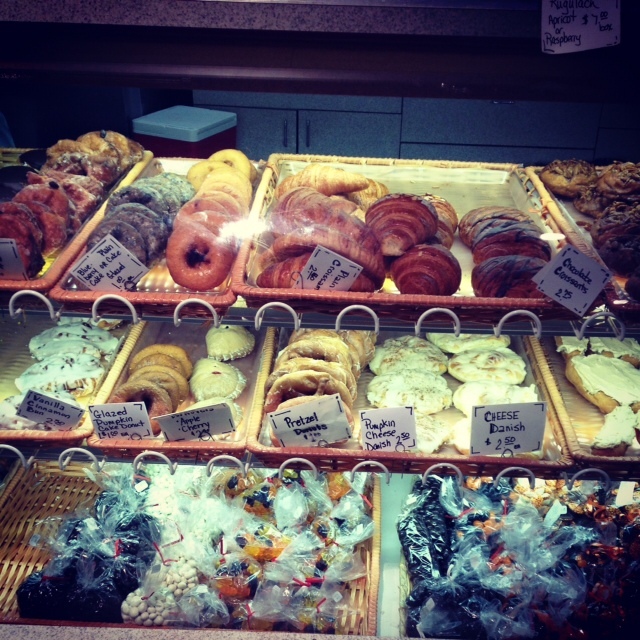 I am glad this bakery is no longer a “hidden bakery”…and it is walking distance from Max and Carrie’s…even more reason to keep visiting!! Next I was on my way to Lords and Ladies where they not only provide the BEST service but I also get to see one of my BEST friends who does an amazing job on my hair…from the days of her cutting/styling/painting my nails in our college house to her big-time-status as a hair stylist and now Balayage education consultant. 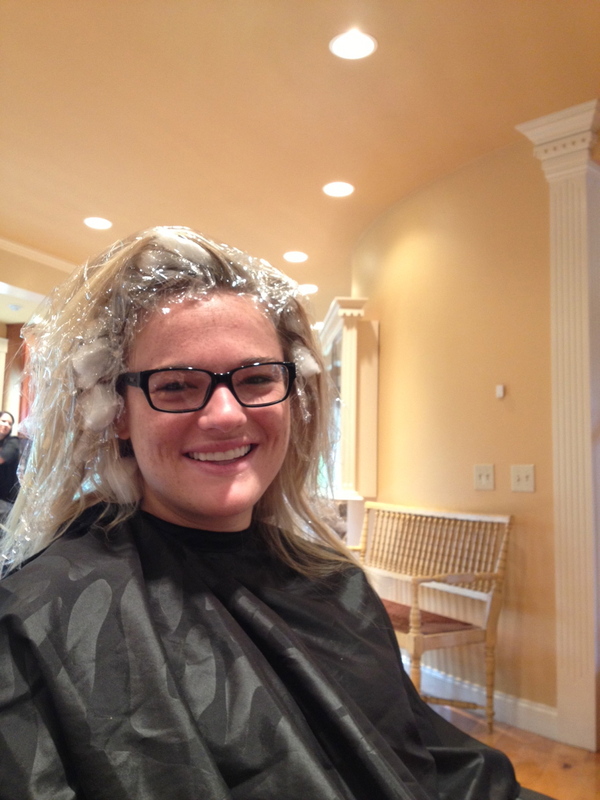 This is the “before”…she puts a lot of cotton balls and saran wrap in my hair. I begged her to let me keep it on for my Halloween costume so I can be a space cadet, but unfortunately that couldn’t happen. 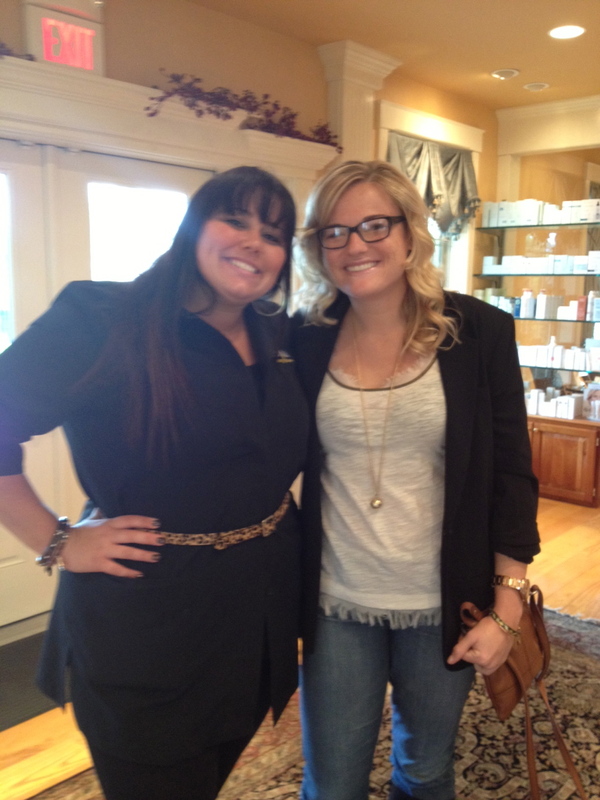 This is the “after” and she always curls my hair too…my hair loves going there because it usually just get blowed dried and then on the grand occasion it may get straightened…so thank you Ash, xoxoxoxo!!! Yay for boots and blazers season! 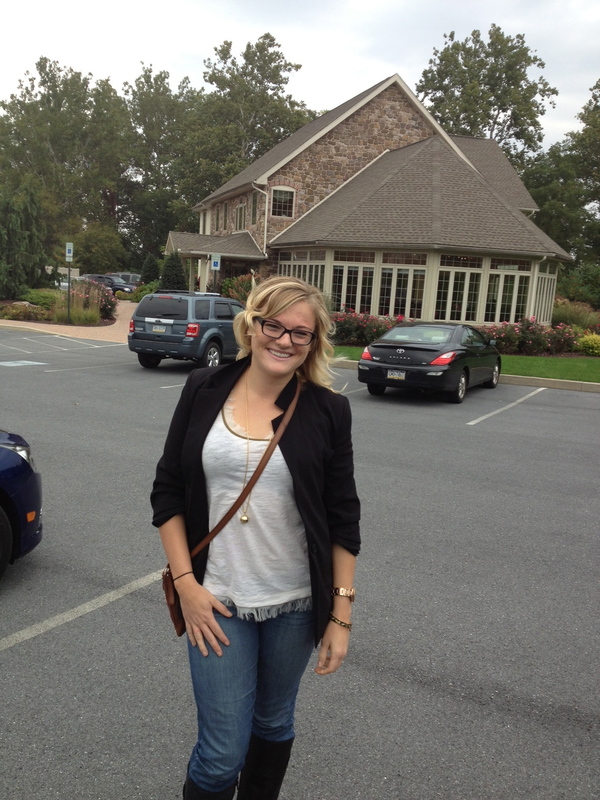 The soon-to-be Mrs. Coccia also got a new, awesome, Infiniti…you go girl!!! Can’t wait for October 20th!! 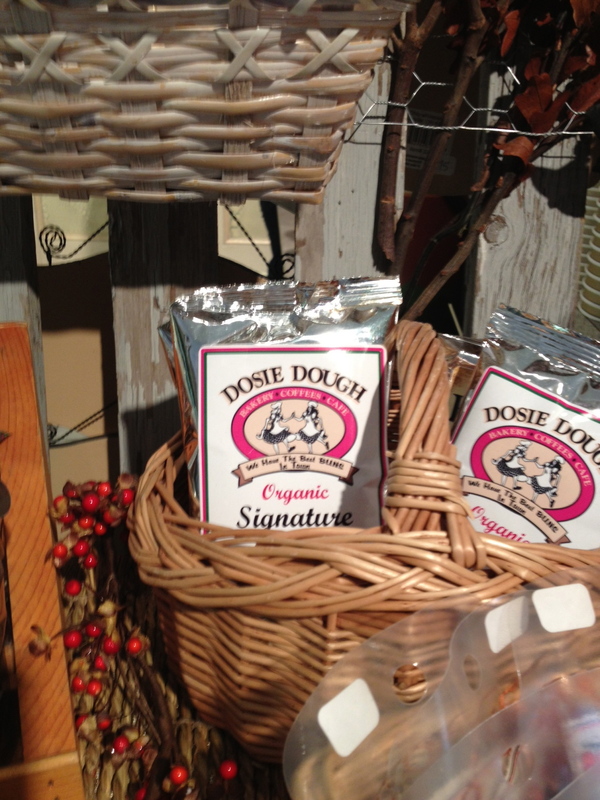 so happy you found dosie dough! how did we live here so long without knowing about it?!? !